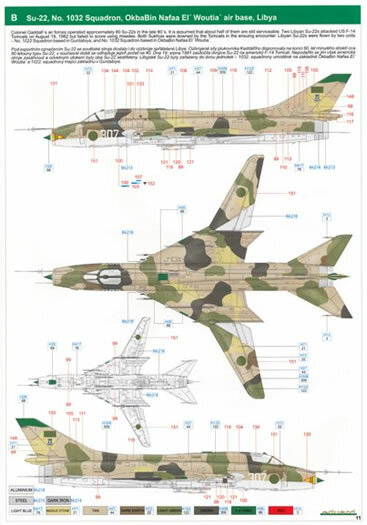 Contents and Media: Olive coloured plastic parts; photo-etched parts; markings for six aircraft. An ideal candidate for Eduard’s upgrade treatment. Intelligent use of photo-etched parts, well cast resin replacements and a superlative decal sheet in perfect register with minimal carrier film. A welcome update for an older kit that brings it more into line with current levels of detail. 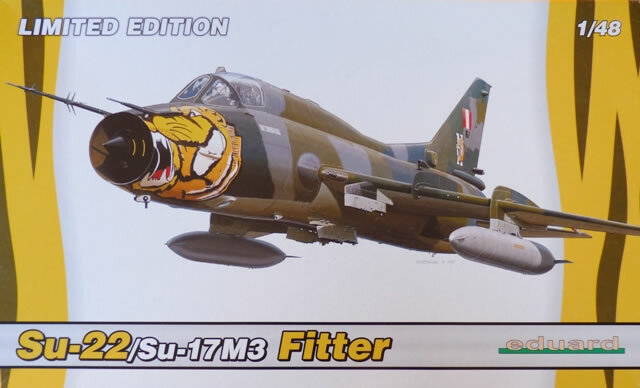 If you want a 1:48 scale Su-22/Su-17 then this is the only game in town. It’s actually the old KP/OEZ offering and despite being good in outline, it was not one of their better fitting kits. However, with some careful dry-fitting, diligent trimming and a dollop of putty here and there, one can still turn out a fine result. The kit scales out quite well although inevitably there are a few compromises due to the multiple versions portrayed. 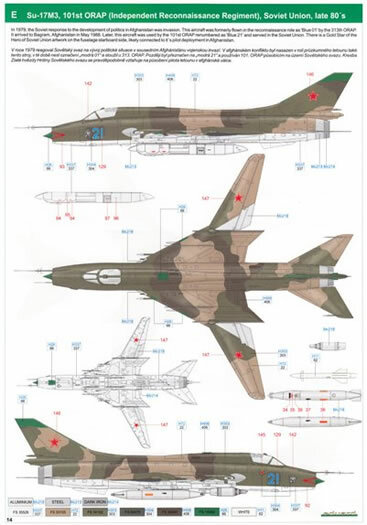 Not least among the changes was the fitting of a different engine in the export variants that resulted in a slightly different fuselage shape behind the wings. Also in need of attention was a lack of detail in key areas, and this is where Eduard’s repackaging comes to the fore. 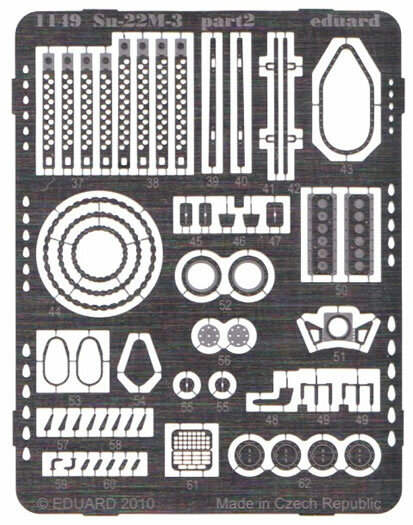 The contents of the box reveal the original 4 sprues containing a total of 133 plastic parts. 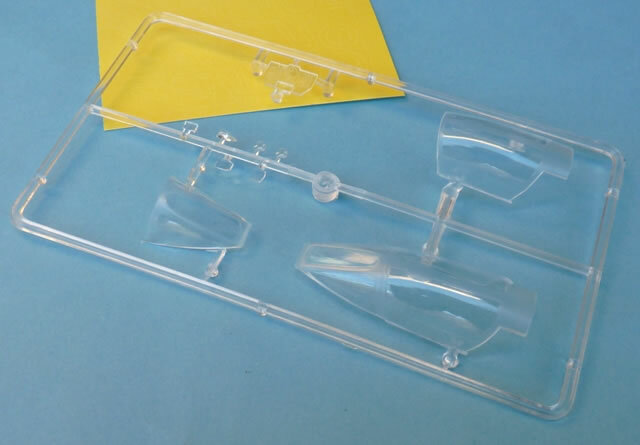 A further 10 clear items cater for such things as the canopy (open and closed options), and instrument panel. 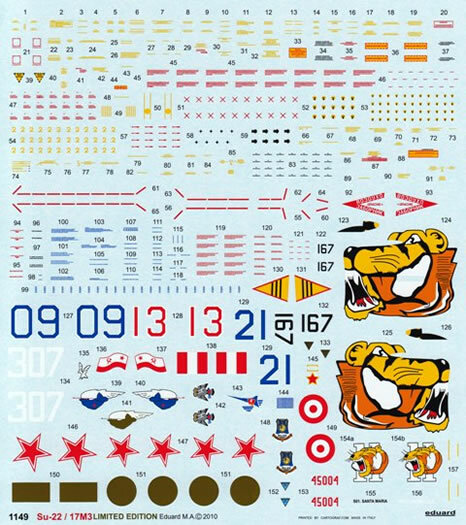 Supplementing these are a new decal sheet, two frets of photo-etched parts, a masking set, acetate sheet (HUD), and 15 pieces of resin. These latter items are packaged in their own zip-loc bags and then stapled to the inner box. This clever piece of thinking stops them from sliding around and thus removes the risk of breakage. The coloured photo-etched items number 45 in total and are used to jazz up the pilot’s front office. Here we find the seatbelts, instrument faces, switch boxes, placards, and a healthy assortment of handles and levers. 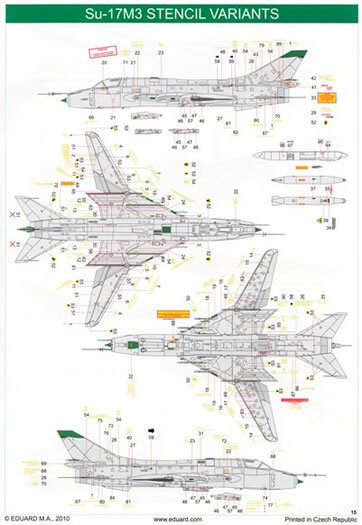 Another 54 standard etched parts take care of the canopy rails, mirrors, sensors, various fuselage fillets and much more. Despite the age of the moulds, the plastic components have withstood the test of time well. As a result, one would be hard pressed to find any blemishes or sink marks. The engraved panel lines are a little wider than usual but this will not be an issue for most modellers. Eduard’s BRASSIN line is also used to spruce things up a bit. Once again it’s the cockpit that benefits with a lovely “bang seat” and finely detailed side consoles and surrounds. 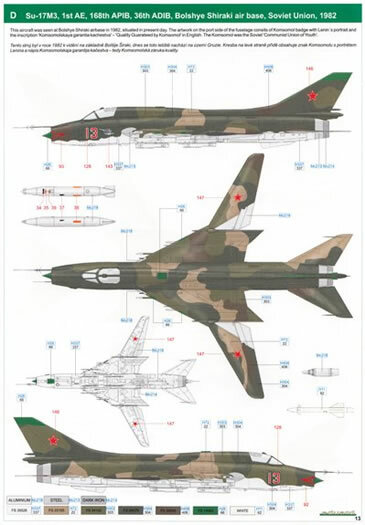 Most of the remaining resin pieces cater for the variations found on the boxtop’s Su-22. To help in the finishing process, a sheet of masking material is included. This greatly eases the task of painting the wheels, canopy, and windscreen. To cope with these goodies, a new 16 page instruction booklet is needed, and this leaves little doubt as to how everything goes together. 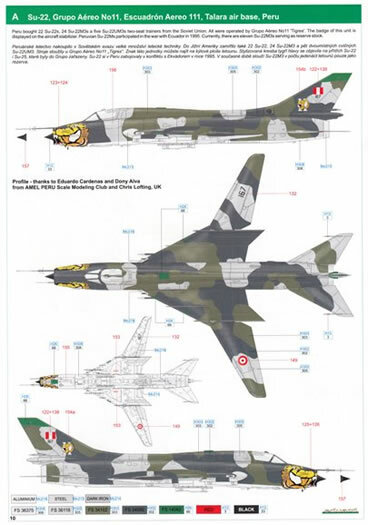 One of the areas that really needed an overhaul was the decal sheet. Thankfully Eduard has pulled out all the stops on this one. 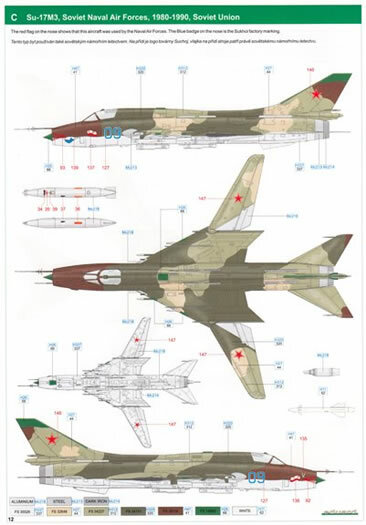 There are schemes for five interesting aircraft as well as a superb array of stencil data. 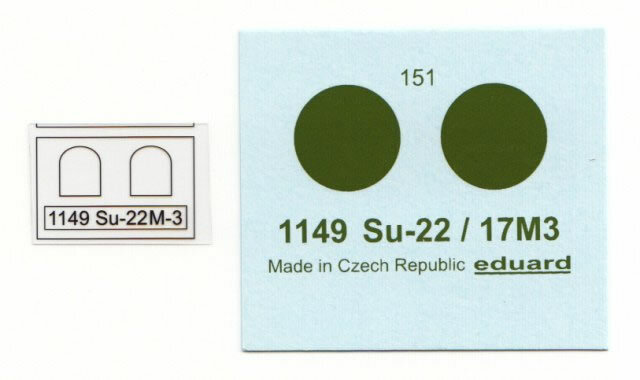 Everything is printed with perfect colour registration and all items are surrounded by a minimum of carrier film. Each is portrayed in colour on the instruction sheet and a full page is devoted to showing exactly where to put the stencilling. 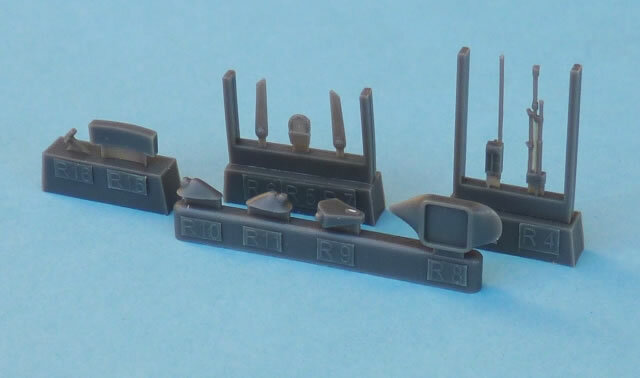 The fit of plastic parts from the KP/OEZ kit was always a struggle for the modeller. But once over that hurdle, the result is quite an acceptable representation of the original. Now with the addition of Eduard’s BRASSIN line and trademark photo-etched parts, the outcome will be more than satisfactory. The use of these enhancements is well thought out and will not take an extraordinary amount of skill to implement. Clearly the cost of the whole is less than the sum of the parts. 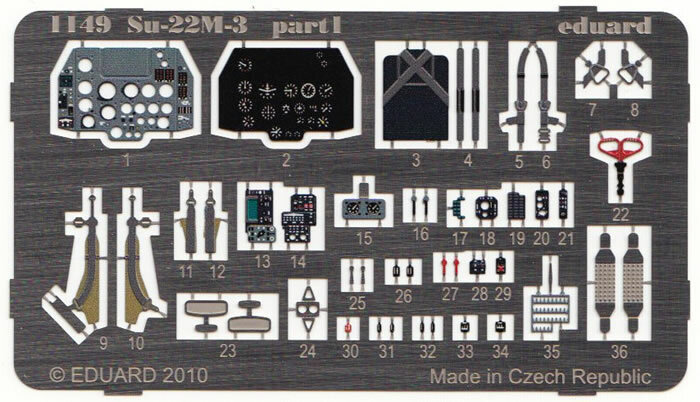 This of course is great news for those wanting to update an older kit to the current levels of detail we enjoy today.